Most three year olds are ready to take their first steps on a path to a lifetime of learning. At Ivy League, you can be sure that your child’s year will be full of fun activities, social experiences and personal expression. Your child‘s day is balanced between play, free choice, guided experiences and teacher-directed centers. A multi-sensory approach to learning together with a print rich environment, featuring good literature and an alphabet curriculum, reinforce children’s natural interest in letters, words and numbers. There are many opportunities for children to make mathematical and scientific discoveries as they use attractive manipulative materials and experience our beautiful campus. Creative expression through art, movement and music, and small and large motor activities are interwoven into every aspect of the program. Our inquisitive and physically active three year olds participate in a range of enrichment activities –music, art, physical education, gymnastics, and foreign language which may include Mandarin and Spanish – all of which are taught by specialists familiar with the needs of young children. In our pre-school classrooms, the aesthetic sensibilities of our children are highly valued. Words are not always necessary. Children are free to express their creativity and imagination or communicate their feelings and ideas through music, painting, drawing or play. Our beautiful grounds and playgrounds are unparalleled as ideal settings for free play and socialization. 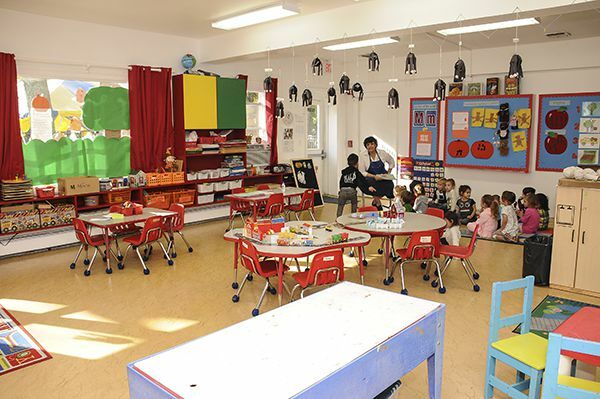 Learning Centers (inviting areas set up around the classroom), provide the materials and supplies for exploration and address the competencies and skills being taught. In addition to writing and literacy centers, areas for library, a SMART Board® and computer, construction pieces, a science table, math materials, a dramatic play area and an expressive art center, are set up in our spacious classrooms. It is there that the teacher and teacher assistant rotate around the room working with children in small groups or individually to help each of them master a skill, dictate a story, build mathematical patterns, or write a sentence. The activity at each area is changed frequently, mindful of the developmental sequence in which children typically learn and the theme being explored. Play is an important learning tool for early literacy learning. 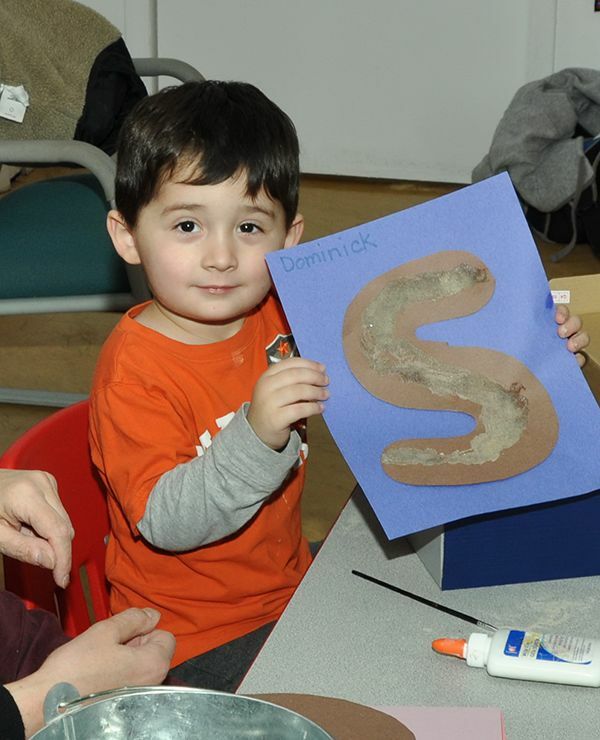 It helps children develop their imagination, language, vocabulary, literacy, and life skills. Our teachers create many authentic play environments such as a doctor’s office, supermarket or ice cream shop. Each themed area is complete with print and non-print artifacts that support learning. *Ivy League’s Full Day Plus class offers a day care schedule combined with the academic advantages of an Ivy League education. In the past, working parents had to choose between day care and schooling. Now, your child can experience both. With day care hours (extended hours available), open most school vacations, and year round options, children will have plenty of time and opportunity to engage in activities that support their natural interest in letters, books, numbers and the world around them. In addition to enjoying our beautiful playgrounds and campus, children in the Full Day Plus program will participate in extra sessions of age-appropriate enrichment and theme-based learning.